Late last week, it was announced that Aetna agreed to buy Humana for $37 billion in cash and stock to broaden its health care coverage. “–The Aetna and Humana deal is actually a good thing for consumers. 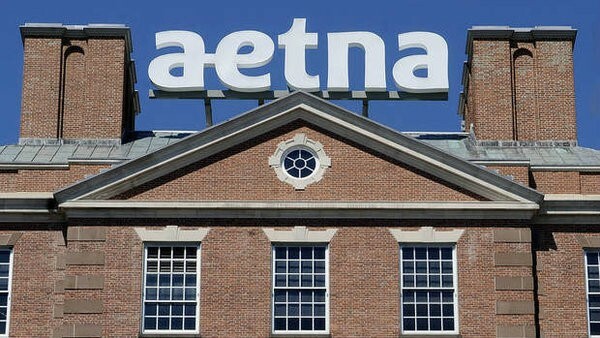 Their core strengths complement each other as other industry leaders have said, and a bigger, stronger Aetna will compete more effectively with United, Anthem and Blue Cross plans. Having three major players in a post-Obamacare marketplace should slow rising prices of major medical plans for the individual and for employers. Further it will encourage Aetna and United to offer plans in states where they have not been in the individual marketplace. Regarding the rumored United and Aetna merger, I don’t think it will happen and I believe regulators will step in as two major entities in the marketplace will not benefit consumers as a result of minimal competition. Anthem and Cigna may yet happen or smaller and regional providers will begin to drop off as profit margins continue to decline and I am not sure what regulators can do about it. Overall, in the health marketplaces throughout the nation, costs for major medical plans will continue to rise for the consumer and at the same time profits will diminish for the insurance carriers due to the extensive government mandates. Insurance carriers will need to expand their base of policyholders in order to spread their risk and therefore need to expand to survive. The Federal Government cannot afford a single payer system if the private sector cannot survive so I think regulators will support some of this change. Costs for consumer plans will continue to rise and will result in consumers buying higher cost sharing plans to reduce their monthly payments or not buying plans at all. This will drive significant increases in the supplemental insurance market and those carriers providing such plans and non- insurance consumer plans will benefit for years to come as will the brokers who sell them. This opens up new opportunities for insurance brokers and will afford both brokers and consumers economic opportunities and benefits. The launch of National Independent Agencies (NIA) this month is designed to capitalize on this. Brokers will be incentivized to offer all plans and that will benefit the consumers as they will be able to earn more on all plans due to the commission arrangements with NIA’s strategic partners with the greater share going to agents. On the supplemental insurance side and the non-insurance – lifestyle side consumers will be offered real value packages to cover their out of pocket expenses on high cost sharing plans and improve their financial positions. This is a new approach. Pushing just major medical plans, along with plans consumers do not need or plans with minimal or seldom used benefits as some large captive agencies promote using pressure calls and storefront insurance stores or in the employer market selling what a duck says you need is not the answer. The site is www.niabrokers.com— Twitter to Follow.